In March 2011 our team visited Kosovo. In Pristina we did EverGreen workshops in elementary schools (3 groups of 20 children, age 6 - 12). Our topic was "Change of Season" - how is the nature changing as spring moves forward, how does spring affects the life of animals - both domestic and wild ones, and what can we learn from all these changes. The workshop consisted of making collages and thus helping children express their views and thoughts on the above questions / topics. 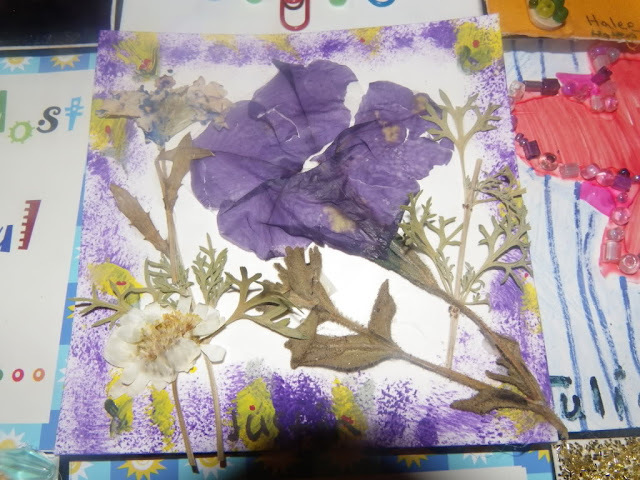 These are just some of the collages - all children did a wonderful job, whether they were working alone, or preferred working in pairs or groups. 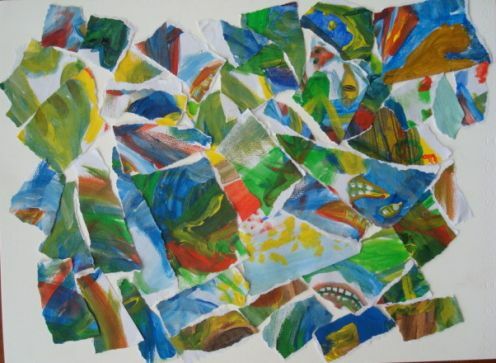 Children used either materials from nature, like pressed flowers and plants, sand and small stones, or they used colors and techniques that reminded them of nature - green, beige, browns, watercolors, pastels and temperas. Through interactivity of the workshop and through usage of a lot of materials from nature, children had an opportunity to express their creativity, visualize things they saw or learned and to work in pair or teams.